We were away last week out western Queensland with our Birdwatchers' Club. 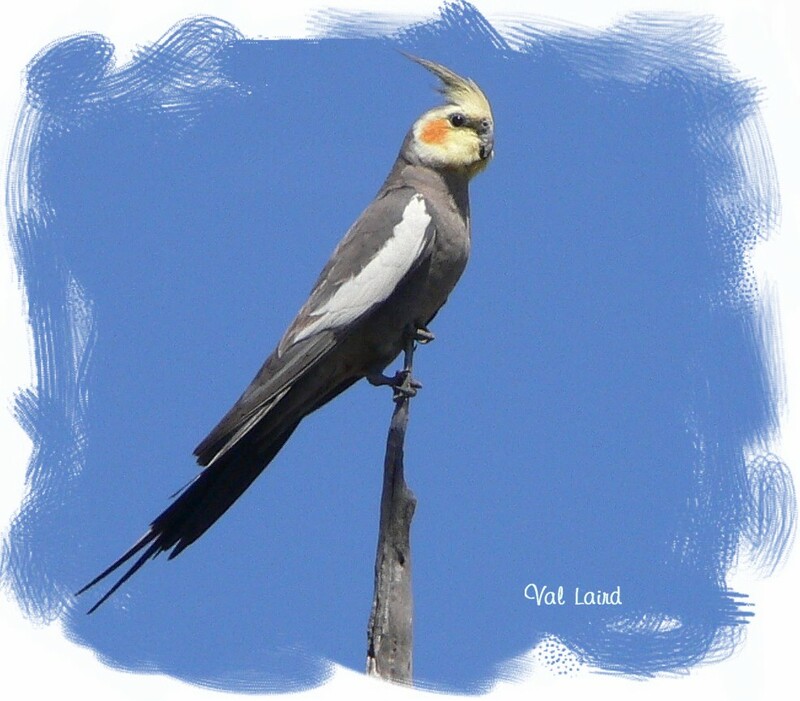 We had a fabulous time and because it is about 6 hours drive from where we live, we saw lots of birds that we don't normally see on the Coast. 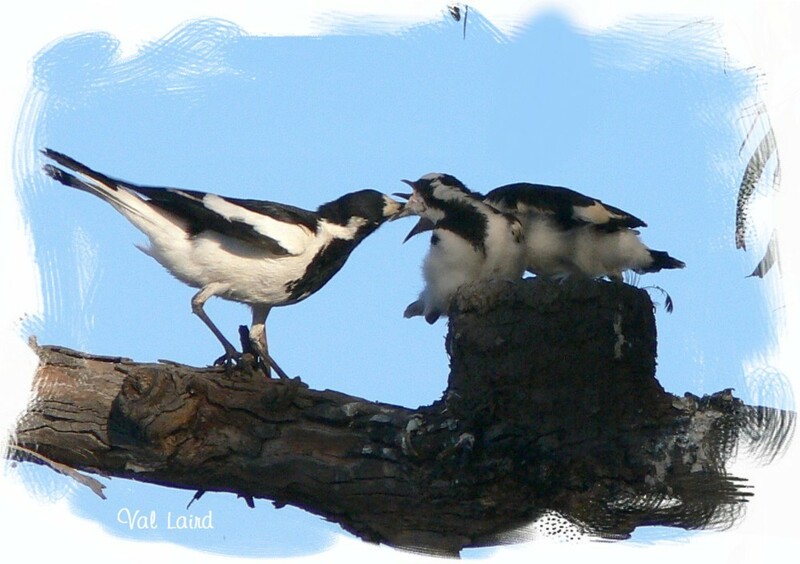 It's Spring, dry and a bit windy, so the hayfever is out of control, but it was worth it to see lots of birds building nests, sitting on eggs, feeding babies or keeping a watchful eye on their young. One brood we saw had TEN babies! Just minutes after I took the photo, the larger baby took it's first teetering wing flutters outside the nest. It soon gained confidence and in no time was a couple of metres away from its baby sister. It was something really special to watch. 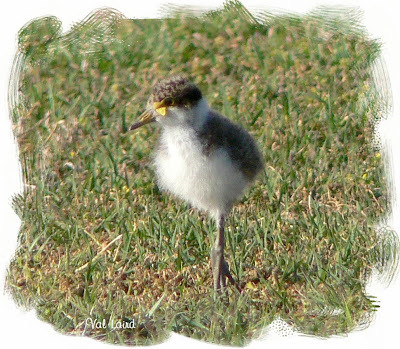 Oooh i saw some baby plovers yesterday, had never seen them before, they were so cute with mum and dad close by making sure they didn't wander onto the road. I adore watching birds though I'm not a member of a club. What a fabulous way to spend a day. We'll probably have some little Lapwings around here too, we have a couple of angry mums & dads. Baby birds are just the sweetest. Awesome bird pictures. I can't wait for your Christmas series. Lovely pictures of the birds - really looking forward to whatever project is using those lovely colours at the end. How cute are all those birds (and ducks? ).